After losing a child in a mass shooting, "your heart’s broken forever. It’s something you live with, you deal with. And Jeremy was dealing with it too," a fellow Sandy Hook father said. 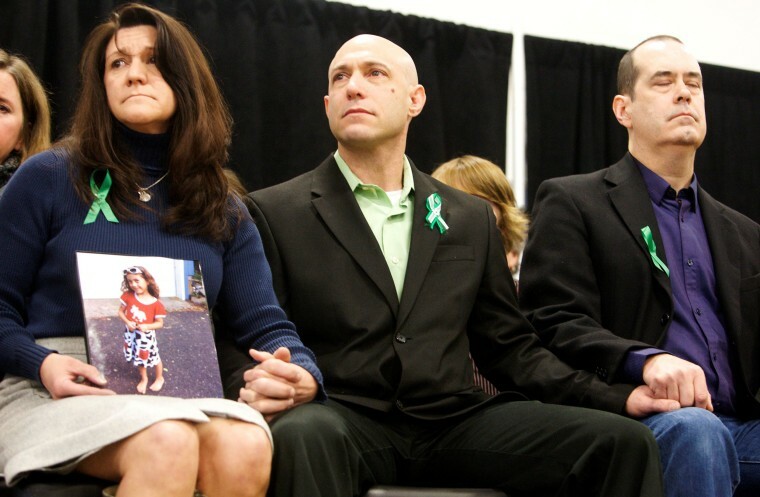 After their 6-year-old daughter Avielle was killed in the Sandy Hook Elementary School massacre, Jeremy Richman and his wife started a foundation in her name that pushed for research into the origins of violent behavior in the brain. But it seems Richman could not find a way to heal his broken heart. On Monday, Richman was discovered dead of an apparent suicide at the office of the Avielle Foundation, which is located in the Edmond Town Hall, an event space in downtown Newtown, Connecticut. Heslin said that in the aftermath of the Dec. 14, 2012, mass shooting that left 20 first-graders and six school staffers dead, he saw Richman often at memorials and on a trip to Washington to lobby legislators to ban the Bushmaster AR-15 rifle that Adam Lanza used to kill their children. But at the years went on, Heslin said they crossed paths less frequently. Richman’s death sent a shudder through Newtown, which is still healing more than six years after the mass shooting and where the locals say “12-14,” the date of the shooting, to refer to what Lanza wrought. Almost immediately after Richman’s body was found, the Resiliency Center of Newtown — a nonprofit that was set up to help people in the community cope in the aftermath of the mass shooting — put out the word on social media that they were open and ready to help anybody who needed it. Stephanie Cinque, who founded the center and is the executive director, said the Newtown community is all too familiar with dealing with the fallout from tragedies. “And we are learning more as we move forward and there are more tragedies,” she said. The Resiliency Center was where many anguished Newtown residents went after hearing about the slaughter of students in Parkland, Florida, and the Texas church shooting that left more than a dozen children dead, she said. It gets especially busy in the weeks leading up to the annual Sandy Hook anniversary and during the long Connecticut winter. The center, which opened in 2013, provides a variety of programs and has board-certified therapists on staff. Richman, 49, was a neuropharmacologist who founded the Avielle Foundation “to prevent violence through brain research and fostering community.” He was keenly aware that what happened in Newtown was not an isolated tragedy. “My wife, Jennifer, and I are infinitely heartbroken,” they wrote on the Avielle Foundation mission statement. Heslin said he knows what Richman was grappling with and how alone intense grief can make a person feel. Asked if he had any other thoughts on the death of his friend, Heslin said he did.